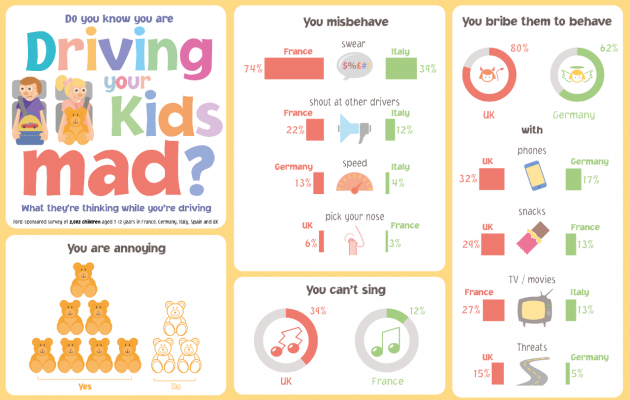 A survey of 2,002 from all across Europe reveals a surprising truth: most children think that their parents are the annoying ones on road trips. Yeah, think about that for a second if you’ve ever had two five-year-olds in the back seat screaming at one another for three hours. Ford sponsored the survey, entitled Do You Know You are Driving Your Kids Mad? 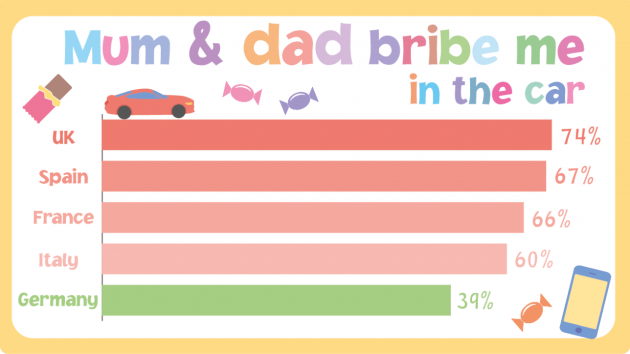 What They’re Thinking While You’re Driving and performed by Opinion Matters last month, which found that 66% of the children polled find their parents’ behavior to be annoying on road trips. Further, about 39% think that their parents are not good singers, which is fine, because daddy was tired of singing “The Wheels on the Bus” for the 400th time anyway, Jimmy. The kids also gave insight into the best way to get them to behave: with various forms of bribery. Preferred methods include playing with your smartphone, tasty snacks, and TV or movies. The least effective method? Threats. So promising to turn this car around might not work as well today as it did for your parents.